One of the most difficult parts of buying a home is securing a mortgage. Lenders look at your credit, the collateral for the loan (the property), and the cash you have available for a down payment and closing costs. Generally, you are quoted an interest rate the day you apply for a mortgage. However, unless it is locked in for a specified period, the same rate may not be available when the loan is closed. There are three types of mortgages: fixed rate mortgages, adjustable rate mortgages, and interest-only mortgages. Fixed and adjustable interest rates can affect how much you borrow to buy a Boston home. It is important to consult a real estate lawyer so that you understand the terms of your mortgage before you commit to it. Fixed rate mortgages and adjustable rate mortgages are more common than interest-only mortgages. The first step of trying to find a mortgage is figuring out which of these will be appropriate for you. A fixed rate mortgage charges a set rate of interest that stays the same throughout the loan's life. The total payment remains the same, which means that it is easier to budget for it and that you are protected from sudden major increases in the monthly payment in the event that interest rates go up. This type of mortgage is easier to understand, and it is mostly the same regardless of lender. The mortgages provided under the ONE Mortgage program are fixed rate. Usually, the repayment period for a fixed rate mortgage is between 10 and 30 years, but sometimes it is 40 years. When the repayment period is shorter, the interest rates are lower, but the monthly payments are higher. When a loan term is longer, you will pay more interest over the life of the loan, even though each month the payment is smaller. Fixed rate mortgages are easy to understand and vary little from lender to lender. The downside to fixed rate mortgages is that when interest rates are high, qualifying for a loan is more difficult because the payments are less affordable. Initially, adjustable rate mortgages provide a fixed interest rate that is set below the market rate on a similar fixed rate mortgage. After the initial period, however, the rate will adjust yearly based on various criteria at a pre-arranged frequency. This type of interest rate may be useful if you anticipate that your income will increase, or you do not plan to live in your home for many years and therefore do not have to worry about rate increases in the future. It can help to have the advice of a real estate attorney for a home mortgage in the Boston area. You may have to consider how much you can afford to pay every month now, as well as how much you can potentially afford to pay in the future, in the event that interest rates rise. You will also need to look at whether interest rates are rising, whether you anticipate the trend to continue, and how long you will live in the home. The experienced attorneys at Pulgini & Norton can offer sound legal advice about fixed and adjustable interest rates. 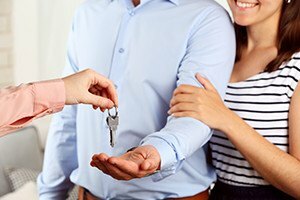 We also represent homebuyers in Braintree, Somerville, Quincy, and other cities in Massachusetts. Call us at 781-843-2200 or contact us via our online form for a free consultation.